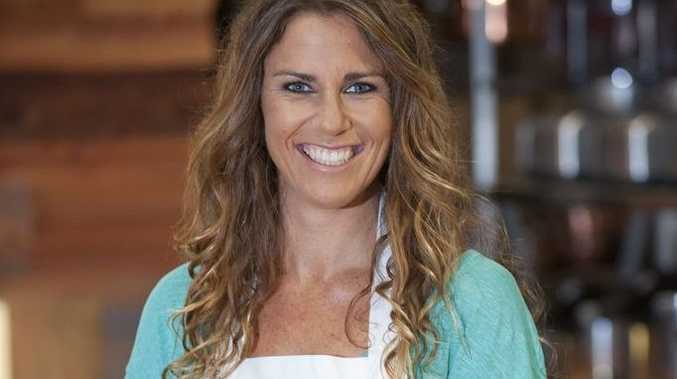 MasterChef Australia (s5) contestant Jules Allen. Supplied by Network Ten. We all know this line so well, it's one of the few things we don't have to Google. I do confess to search-engining the author (Walter Scott), but I extricated it easily from memory, word perfect, probably because it was one of my grandmother's favourites and it's wise counsel for living. What a pity the faceless men producing this nation's reality TV shows didn't listen to Nan. Former MasterChef contestant Jules Allen was in the headlines this week after her appearance on Australian Story (ABC, Mondays 8pm). There, she put a human face to the cloud of manipulation, fakery and spite many have seen cloak-and-choke the genre. She said being on the show had made her feel like a humiliated basket case, that transitioning back to family life in Lennox Head was rough and that the hangover that still remains from her 15 minutes has turned her into a depressed introvert - quite the opposite of who she was pre-show. Extraordinarily frank, she spoke of liking some parts of herself (and hating others) illuminated on the small screen; of chasing fame and of being grateful for the opportunity. But her story is also one of caution, of the danger of succumbing to an ego which, in Western society, seems to be on an exponentially selfie-exploding trajectory. Hmm, it's all a bit too deep for the millions who apparently just want to see some teary, shouty dust-ups in their loungerooms five nights a week. It's certainly too deep for the creators of these shows, who seem to churn and burn contestants as soon as they are eliminated. Contracts keep them restrained and even, disarmingly, forking out 15% of any related income to the production company; but psychological support for getting back into the real world? Not much, if Jules is to be believed. These shows rate through the roof, which means advertising money is coming in. Why not filter some of it to decent and sustained therapy for all reality contestants? Clearly they need it.